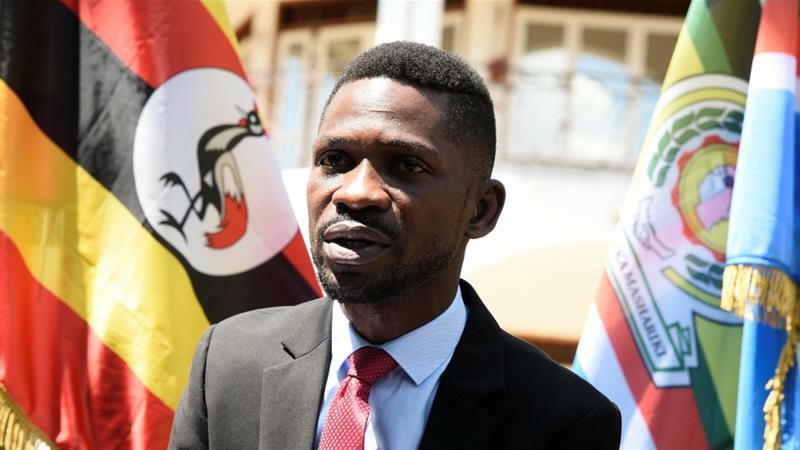 GULU- Kyadondo East Member of Parliament Robert Kyagulanyi aka Bobi Wine and his Arua Municipality counterpart Kassiano Wadri have vowed not to return to Gulu Magistrate’s Court for the proceedings of the treason case they are charged with. According to the legislators, the state is deliberately delaying the investigations of the case, which they said is a waste of their time and money. “We are counting the number of months we have reported here. Should we clock and hit the six months to report here and the police continue to say that they are not yet through with investigation, we shall use the law to abandon coming to the court,” Mr Wadri franked by Bobi Wine told journalists outside Gulu Magistrate’s court on Monday. The duo’s frustration came after they appeared before the court for the hearing of the treason case against them only for prosecution to call for adjournment, saying police has not furnished them with evidence in the case. This forced presiding magistrate Isaac Imoran Kintu to adjourn the case to January 10, 2019. “If they have any justifiable reason, they will find us wherever they got us from because the law is very clear within six months if you have no satisfactory evidence to adduce for further committal to high court for trial then we have no business in court,” Mr Wadri added. Bobi Wine added that despite their defence lawyers praying for a longer period of adjournment to allow the state to complete their investigations, the court only adjourned by a month, which he said is not fair given that they the co-accused have to waste their time and resources to travel from Kampala and some from Arua to Gulu.